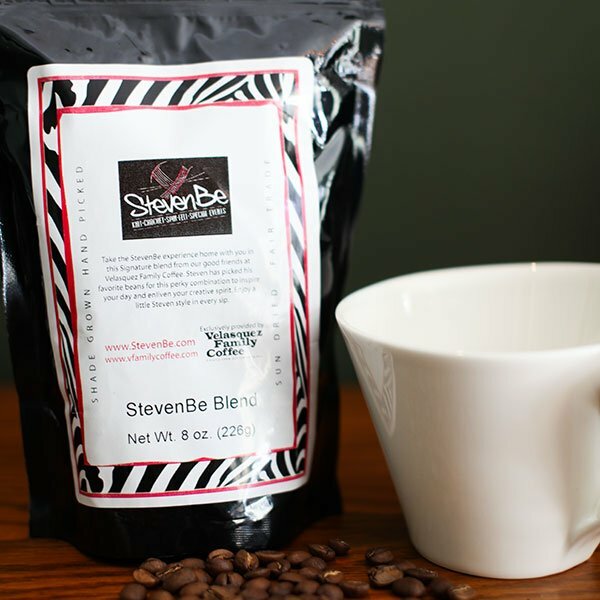 Home > Needles, Notions, and More > Gifts > Coffee and Tea > StevenBe Coffee - 16 oz. Custom blended for StevenBe by the Velasquez Family in Honduras, this smooth cup of joe is a blend of roasts including espresso—sure to set your synapses sparkling! Available in 8 oz. and 1 lb. bags in either whole bean. This fair trade coffee is delicious hot or cold.